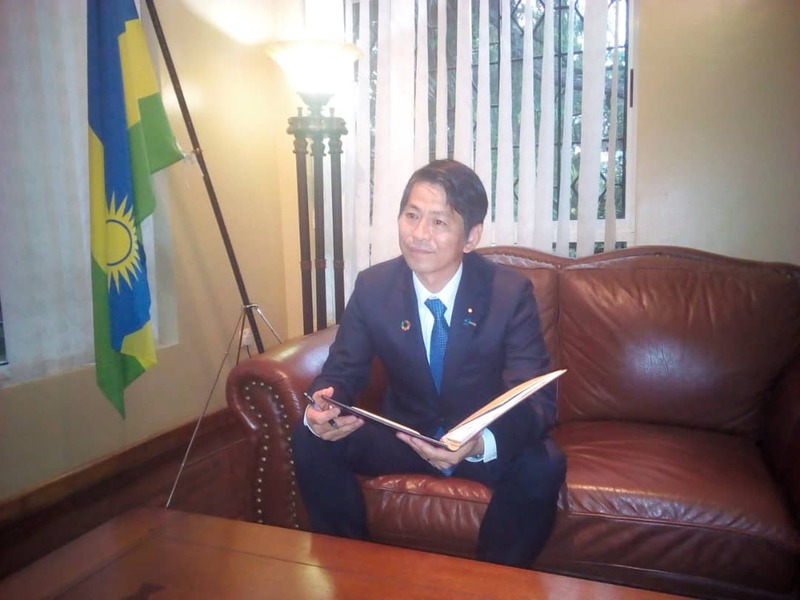 Following the ongoing Chief Executive Officers’ (COE) business forum in Kigali, Japanese vice minister of foreign affairs, Kenji Yamada has pledged to attract more investors to Rwanda. Yamada who met Japanese investors on sidelines of business forum (CEO forum) at the ambassador’ residence in Kigali said that this is among the few African countries with friendly business atmosphere. “We have been hearing World Bank ranking Rwanda 2nd friendly country to do business from, but I have witnessed it myself, I think more Japanese should invest in this country,” Yamada told KT Press on Monday 25. “In Rwanda, because of business strategies and favorable conditions Japanese investments increased from three investments to 25, in just four years, but I think more investors should be here for business” Yamada told KT Press. Yamada highlighted key areas such as agriculture, ICT, infrastructure and human capacity development, among others. “We have so far several Rwanda students studying in Japan. It is very important to share skills and investments for steady and quick development,” Yamada said. In January this year, President Paul Kagame and Prime Minister Shinzo Abe of Japan witnessed the signing of a bilateral agreement on Nzove-Ntora Water Transmission, Jin Tokyo. Nzove-Ntora Water Principal Pipeline in Rwanda’s capital Kigali will be constructed through a 3.1 billion Japanese Yen ($29,450,324.18) grant by Japan. Other areas of cooperation between two countries includes urban transport Improvement Plan. As population grows and becomes more urbanized, Kigali learns from Japan’s longstanding expertise and experience in city planning and urban transport.